The UPSEE exam is a state level entrance exam, which is very famous among the students of the state Uttar Pradesh. Every year a large number of students appear for the UPTU/AKTU exam. This exam is organized to provide admissions in UG and PG courses offered by colleges of Uttar Pradesh. It is conducted by the Dr. APJ Abdul Kalam Technical University Uttar Pradesh, Lucknow. Here in this article, we have mentioned the best tips on How to Prepare for AKTU/UPTU/UPSEE 2019. These tips and tricks will definitely help you to crack UPSEE exam with good marks. Firstly, make a study plan for your preparation. Plan your preparation as per the syllabus and the time you have. Firstly, make sure to get complete information about the officially prescribed syllabus and plan your preparation according to that. Time management is the key to any exam preparation. Manage your time equally for all the subjects. Set your time-table on the daily basis and don’t forget to cover all the details of the syllabus in your time-table. Preparation from good study material matters a lot in the preparations. There are a lot of books available in the market for UPSEE preparations. Here at “Sarvgyan”, our experts have compiled some UPTU book (UPSEE book) after the analysis on the different books which are available in the market. Practice hard is the most important thing in exam preparations but never neglect your health because of your preparations. Take a sleep of minimum 8 hours a day. Do yoga and meditation it will help you calm your mind and it increase concentration power. Avoid heavy and junk food in the preparation time. Apart preparing from books, candidates should also concentrate on the previous year question papers and sample papers. Students should also solve previous year question papers it will help students to know about the exam pattern and they can also manage their time for the exam. Candidates can also practice online mock test to get idea about the exam. For further queries related to How to Prepare for AKTU/UPTU/UPSEE 2019, you may leave your comments below in the comment box. Can u tell me the book for preparation of LEET in UPSEE 2017 for paper 6??? You can check UPSEE 2017 books through this link. how we prepare for uptu for getting good marks. Please give me full knowledge how to get good rank in it..
Books req.,syllabus, how to prepare…. May U please tell me the no. Of questions in b.tech paper? And the no. Of attempts for the same paper? I want to see full sllyabus for diploma holder for letter entry 2017(b.tech). Then thank you very much. Can i prepare for uptu exam 2017 in 3 weeks? Which book will be suitable for uptu exam so that I can get the government college? I have appeared in uptu MBA exam and I got 214 rank(girl) and 618(gen).so can I get the iet or step hbti. i am the appearing student of class 12 th. but 1 year gap between class 12 .. due to heath problem …can I apply the form of uptu in this year ..this year I faced the exam of class 12..
check here for UPSEE Books. sir, i want to know the exact syllabus for lateral entry..
Visit UPSEE Exam Books 2016.
please provide direct link for previous years pcm papers pdf. 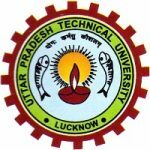 Go through this article UPTU Entrance Exam 2016 for previous years question papers. Sir Plz. suggest the book for mba entrance xam for uptu.name plz. You may check preparation books from here UPSEE Exam Books 2016. What are the B.tech faculty offered by UPSEE??? And what is eligibility for it Can i applying after +2??? No. It offers only LE for graduates and diploma holders. yes you can apply. you can apply for the UPSEE exam. You can check preparation books from here How to Prepare for UPSEE 2016.
sir,I applied uptu fo B.Tech .How I prepare for it. Is percentage of 12th class is taken in account for the giving govt. College? what is the diference between b.tech.&laterl b.tech. In lateral B.Tech you will get admission in the second year of B.Tech. You may go through this link UPSEE Exam Books 2016. You can check preparation books from here UPSEE Exam Books 2016. You can check the preparation books from here UPSEE Exam Books 2016. You can check the best preparation books from here UPSEE Exam Books 2016. You may check the information from here UPTU Entrance Exam 2016. I live in mumbai but i want to give uptu mba exams so can you please tell me i cam give that exam or not and what id the procedure? You may apply if you meet the eligiblity criteria check it from here UPSEE 2016 Eligibility.